The Entrepreneurship Project: Own Your Education. Own Your Future. Linguistic Inequity and ELLs: Lifting the Voice of the Silenced Learner one Strategy at a Time! Learn how to work with other teachers and school administrators to identify when and where to improve instruction to accommodate students and build their academic performance. Mini conference in partnership with the Florida Education Association for high school students who are aspiring educators. A community service project for Orlando Gifted Academy. We will paint murals and garden stepping stones. Transportation will be provided. Educators talk about how they teach leadership and challenge students to become aware of issues around them and then design effective solutions. Hear real life stories and see available lessons for middle and high school students. In this session, participants will learn how to assess students' personality in order to create a community of learners and to increase student learning and participation. Participants will grow a deeper understanding of themselves and others. The connection between your mind, body, and breath is a powerful thing. Are you passionate about equity in your school? Have you heard of and/or watched the docu-series America to Me? And So What Else Did You Think You Can't Do? 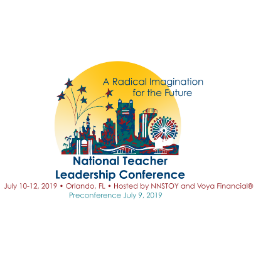 What Can Singapore Learn from American Teacher Leaders?